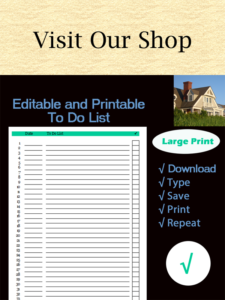 Easter is right around the corner, and we’re here to help with ideas and a free printable budget. 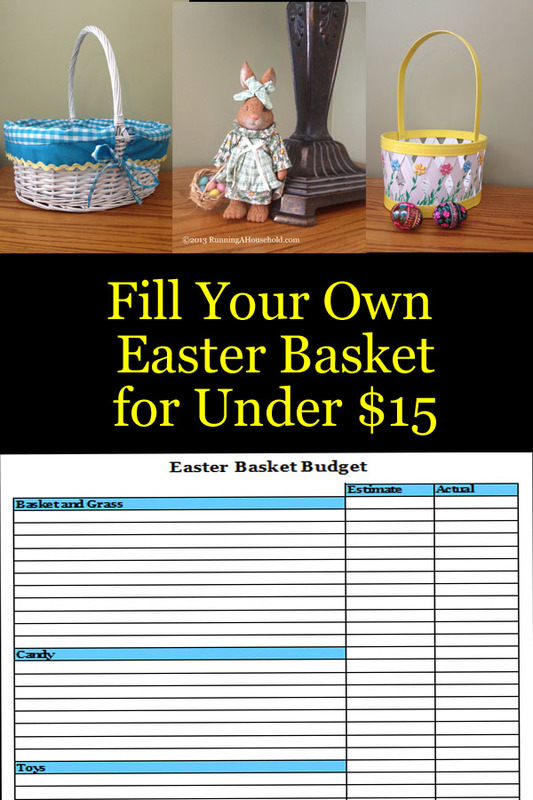 Let’s take a look at how you can fill your own Easter basket for under $15. 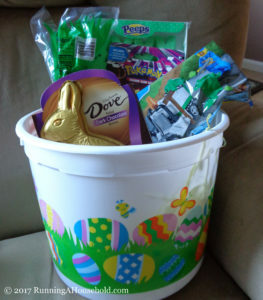 At Running A Household, we opted for a simple Easter pail which sells for $1. You can find this at your local Walmart or dollar store. You’ll also want to pick up some grass to line the basket or pail. In addition to the standard green grass, you’ll find that the grass comes in many different colors. We’ve seen the following festive grass colors: peach, yellow, purple and even aqua blue. A chocolate Easter Bunny is a must have for all Easter baskets. 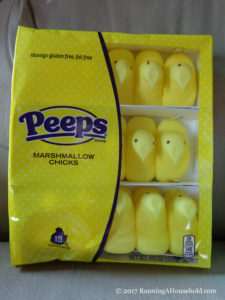 Peeps are a great addition to the basket. They come in large packages, and are relatively inexpensive. 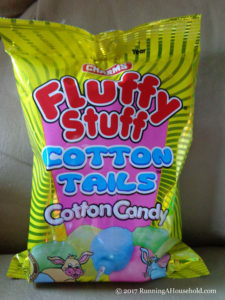 Cotton candy is another one of those special treats that are cheap, but fill the Easter basket nicely. Toys and small gifts for an Easter basket vary according to the child’s age. For younger children, a coloring book and some washable markers are great. For our basket, we added a package of Pokemon cards and a mini-Lego toy. Other indoor toys might include Silly Putty, Play-doh, and an Easter book. Since Easter is in the spring, bubbles, sidewalk chalk, and a kite are also possibilities. Before you head out to go shopping, be sure to print our Easter Basket Budget. 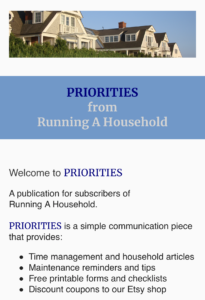 It will help you plan what you need and stay on budget. Good luck making your own Easter basket. Happy Easter! 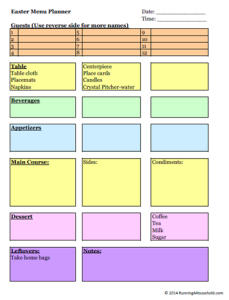 This entry was posted in Money and tagged cheap Easter basket, Easter basket budget, fill your own Easter basket, inexpensive Easter pail, make your own Easter basket, Toy ideas for Easter basket on March 27, 2017 by Running A Household.